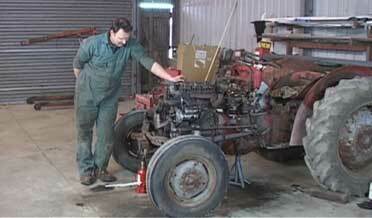 The 3 cylinder Engine Rebuild DVD is now available, but Vintage Tractor Engineer thought it would be good to upload a few snap-shots from the project. These ones are from the engine strip-down and assessment on disc 1. Photos from disc 2 includes work done at the engineers and the rebuild process. Bonnet removed, axle stands in place and ready to start the strip-down. 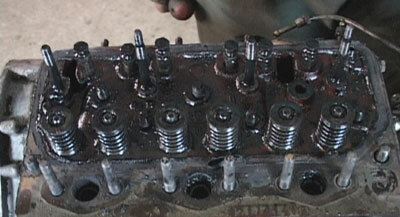 With ancilliaries removed, we soon got down to the cylinder head. Note position of the oil supply setting. 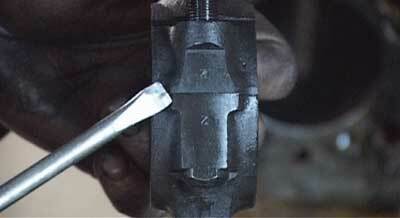 This one is at the factory setting – aligned with the ‘pip’. 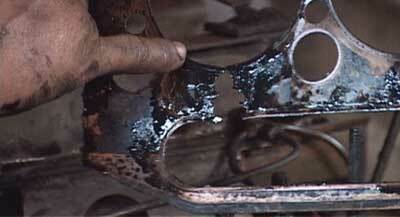 Broken head gasket. Has this been caused by overheating? 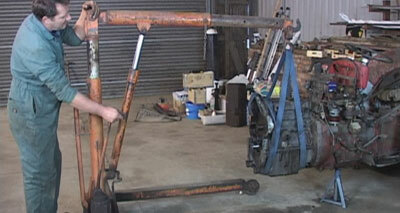 Using engine crane to remove block. Centre of gravity isn’t in middle of the engine, so attach straps/chains to account for this. 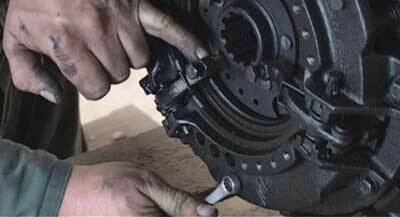 Inserting ‘holding-down bolts’ to facilitate safe removal of clutch. 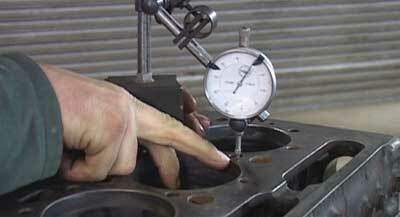 Looking at piston numbers marked on the connecting rods and caps. Note – they should always be on the same side. 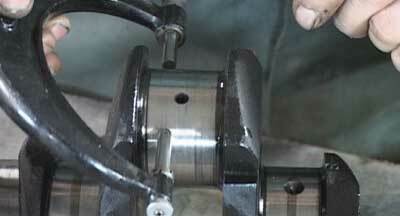 using feeler gauges to assess end float on the crankshaft. 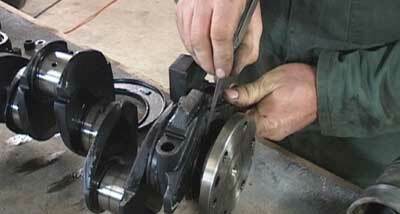 Using micrometer to measure big ends and main bearings. Even though we can measure components very accurately (and they could well be within specification), we must also make a visual assessment. 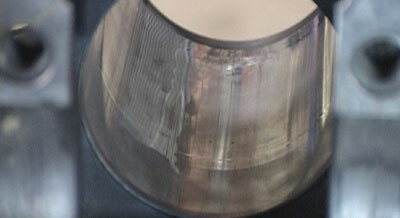 Just looking at and feeling the bearing surfaces can reveal scratches, scoring, problems and damage. Assessing the shells. The white metal has gone and even the copper backing has worn through on the shell at the right hand side. 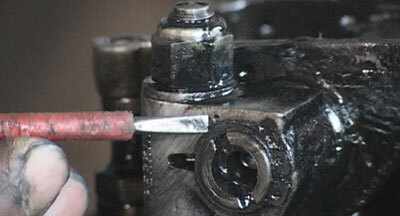 This is when terrible damage can occur and this engine must have been on the verge of seizing. 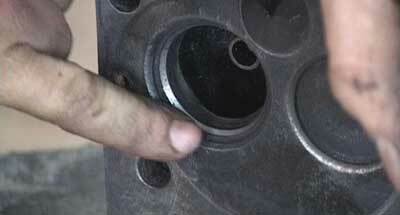 Looking at the pistons and rings. Mesuring liners in relation to surface of the block. Cylinder liners, worn smooth and scored/scratched. 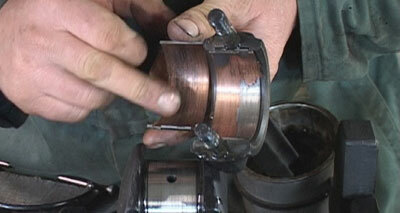 Valve seats in need of re-cutting. 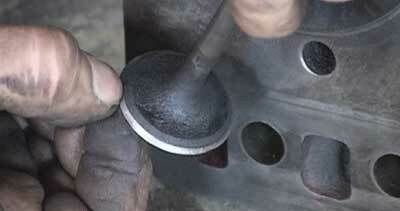 We always knew from the initial assessment that we’d encounter a particularly worn engine with many problems to rectify. Basically, after the strip-down, it was clear that pretty much all the usual things were in need of refurbishment or replacement. This isn’t always the case, as there can be specific issues which need attention whilst the rest of the engine is OK – as long as you know what to look for and understand what components are like when they are in good serviceable condition. The DVD intends to make it easy for even the most novice of mechanics, so we have tried to show each step of the process in precise detail. It’s a long process, so that’s how we ended up with the DVD as a 2 disc set!